Are you not getting enough leads for your work from home business? 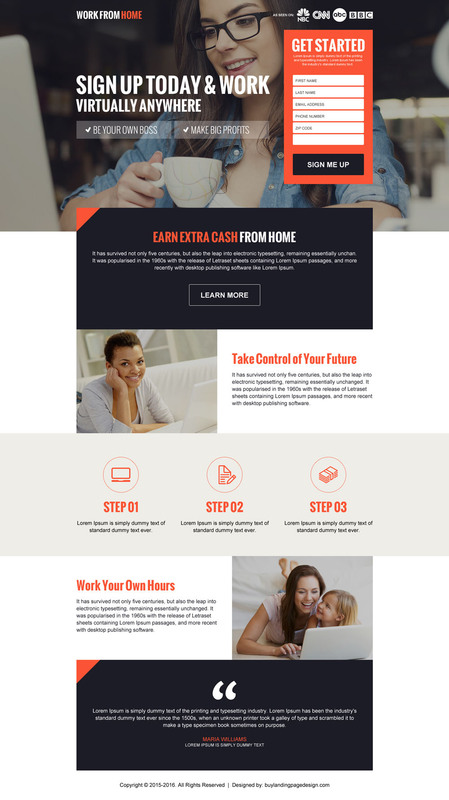 Convert your traffic into leads with our modern, effective and professional lead capturing work from home landing page designs. Our work from home landing pages are designed in Photoshop and then hand-coded in HTML/CSS so they are SEO friendly as well. You can customize our landing pages and use them to promote your work from home business at a very minimal price and save your money and time.